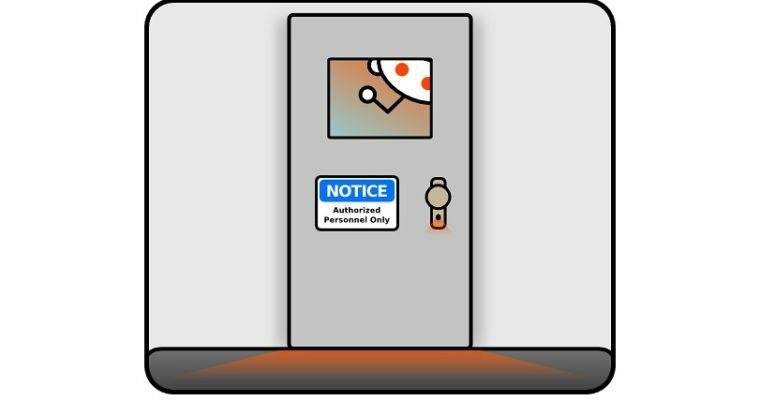 There has been a lot of change at reddit in the last year, from taking on new funding, banning numerous Subreddits, and even disabling their toolbar, but yesterday’s announcement that Victoria Taylor (aka /u/chooter on the site and @happysquid on Twitter) was let go from reddit has caused many in the community to revolt. 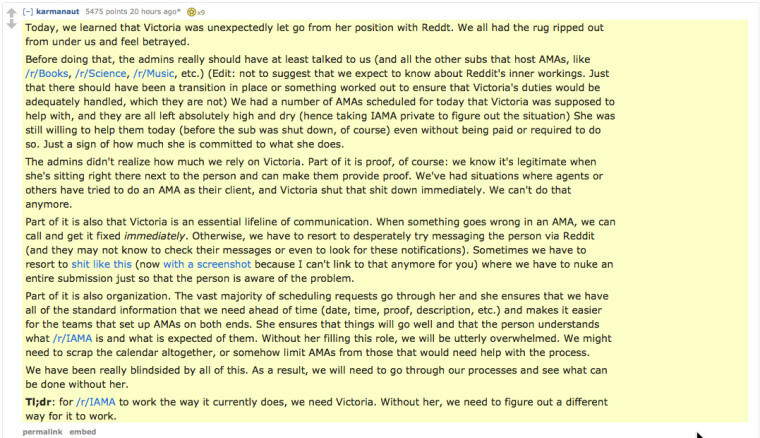 Victoria was heavily involved in the AMA process, and was a moderator for /r/IAmARequests. She was so involved in the process, that her firing resulted in the entire AMA Subreddit (one of the largest and most popular Subreddits) being made private, which ultimately lead to the canceling or postponing of all scheduled AMAs while the mods try to figure out a new way to manage them all. She was apparently let go so suddenly, the other mods only found out when someone who was supposed to be doing an AMA showed up in NYC was not met by Victoria as planned, and their agent messaged the other mods through the site. Unfortunately for Reddit, this time it is the moderators revolting, showing support for Victoria, who said she was ‘Dazed!‘ at being let go. 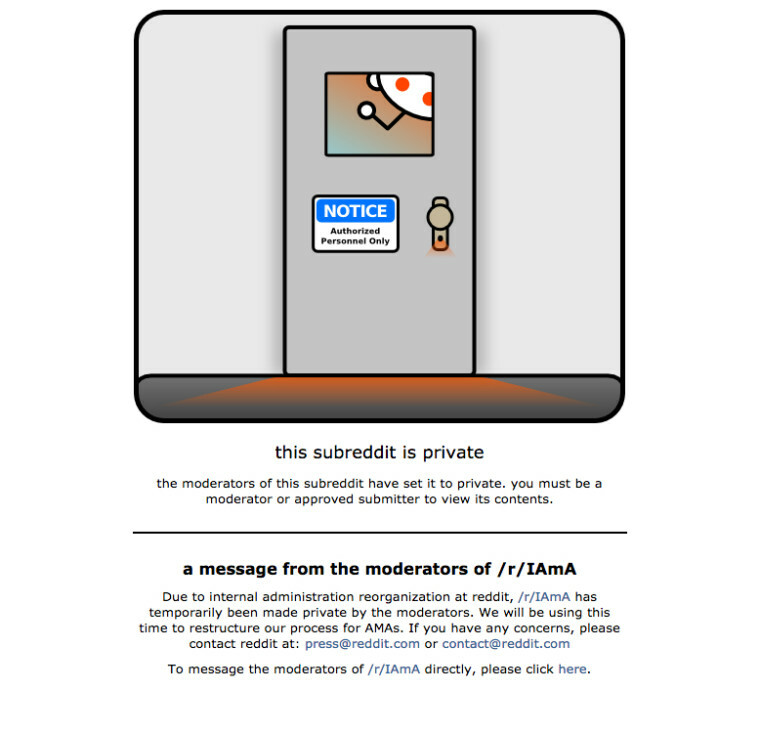 Since the closing of AMA, over 10 other Subreddits have been made private in a growing protest over the firing of Victoria, including Music, Funny, Videos, Gaming, History, and Movies, each leaving messages on their landing pages explaining their reasoning. History has actually put their Subreddit back to public, stating that the reddit admin team had promised them to improve the situation, but all the others remain private and unavailable to literally millions of users, as these are many of the largest Subreddits on the site. One submitter even posted a thread saying that with 75% of reddit being ‘dark’ it was his best chance at getting the reddit front page, and then actually got to the front page with over 5,000 up votes. It is unknown at this point when the private Subreddits will be made public again, but we will try to update as things evolve. We don’t talk about specific employees, but I do want you to know that I’m here to triage AMA requests in the interim. 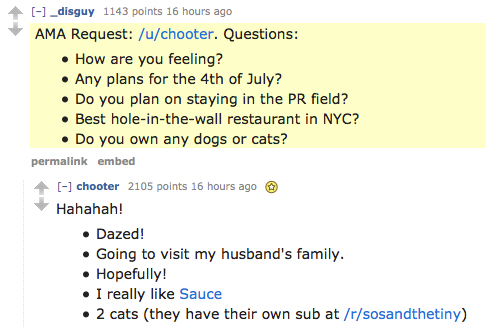 All AMA inquiries go to AMA@reddit.com where we have a team in place. We get that losing Victoria has a significant impact on the way you manage your community. I’d really like to understand how we can help solve these problems, because I know r/IAMA thrived before her and will thrive after. We’re prepared to help coordinate and schedule AMAs. 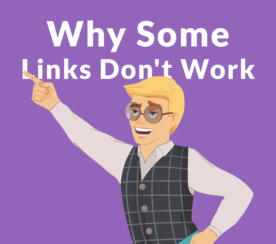 I’ve got the inbound coming through my inbox right now and many of the people who come on to do AMAs are excited to do them without assistance (most recently, the noteworthy Channing Tatum AMA).